Since inception, NewLIFE has maintained a low incidence of multiple pregnancies. As multiple gestations have a higher risk of complications for the mother and the babies, it is important to note that more than 4 out of 5 NewLIFE conceptions are single babies. Nationally, NewLIFE ranks in the top 1% of fertility practices by an independent online consumer resource: Global Clinic Rating. Cost-effective fertility care saves both time and money by managing a correct diagnosis with specifically effective treatments. NewLIFE offers fertility services that costs 40-50% less than the national averages (See chart below). 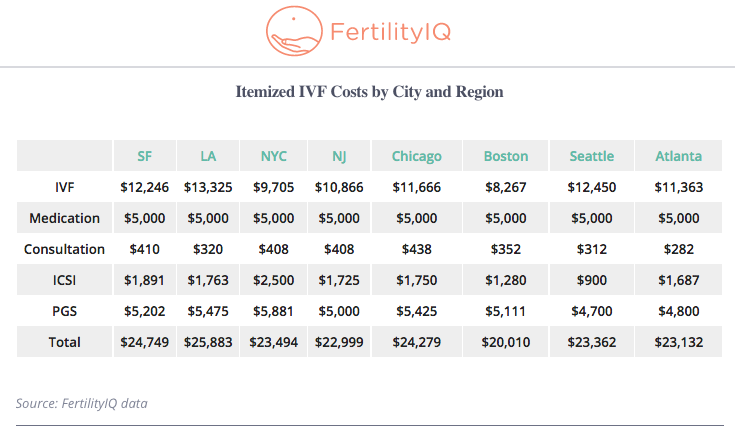 Costs vary with a patient’s unique fertility issues and a detail of costs can be provided after reviewing medical records and test results. NewLIFE also offers financing options that can reduce the time to begin treatment to have a baby.